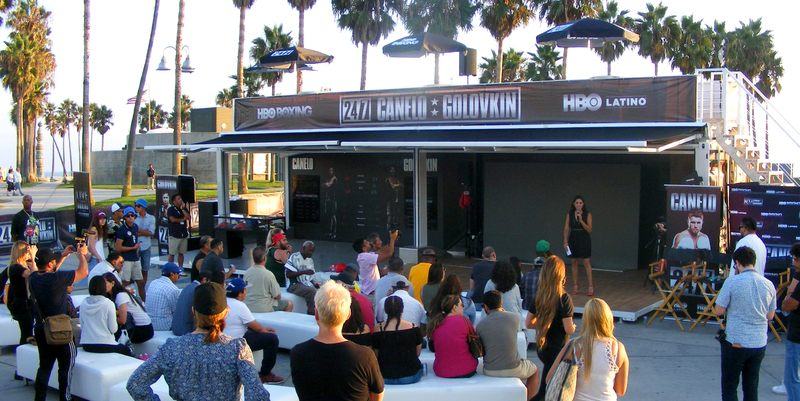 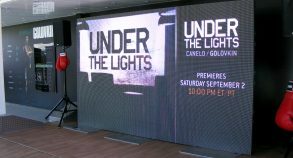 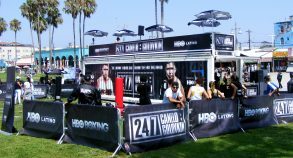 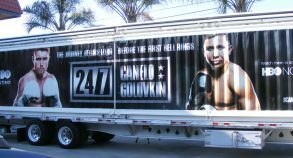 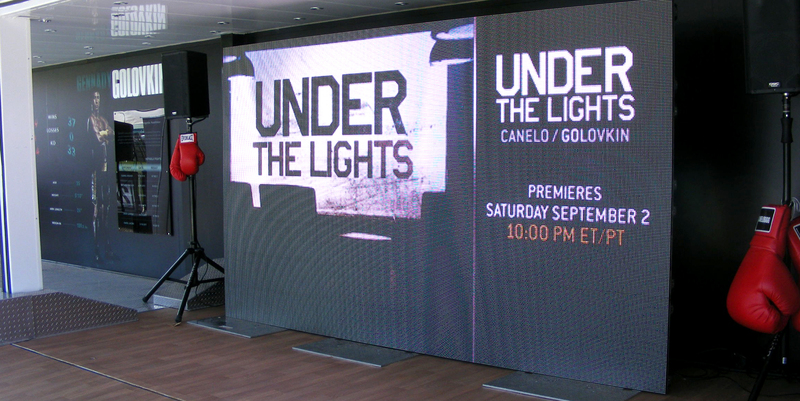 Steel Space Concepts built a personalized space for HBO Sports to promote the Canelos Alvarez vs GGG boxing match across the US and Canada. 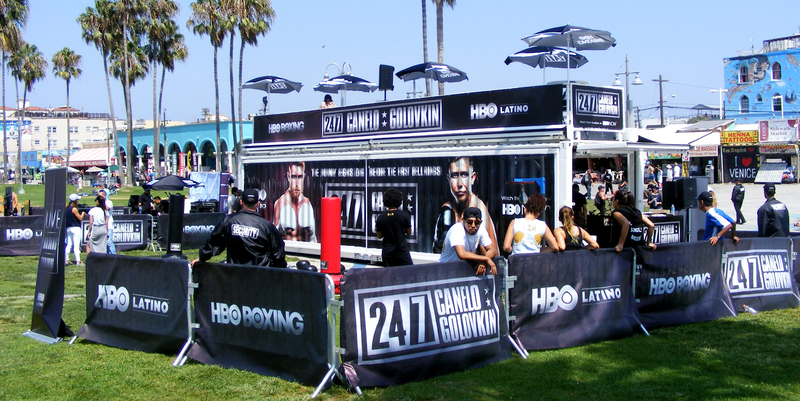 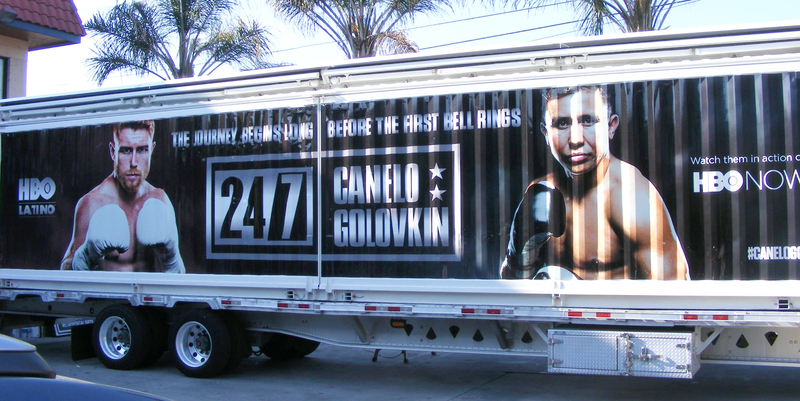 A custom SS40 unit was designed to promote the match, but also boxing in general. 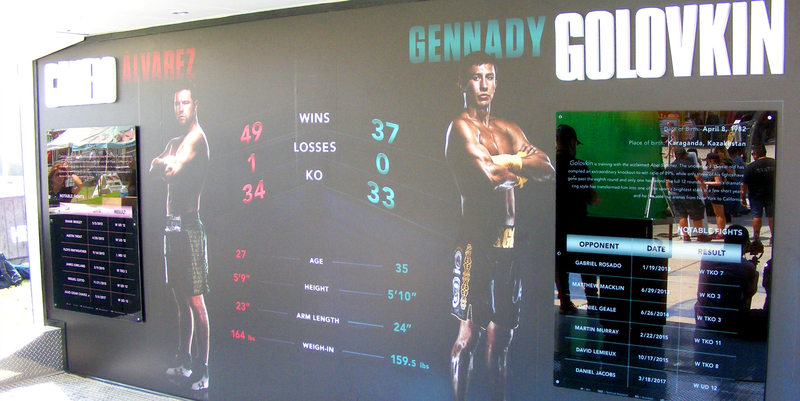 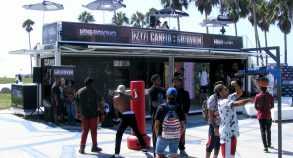 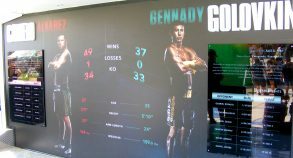 Billboards, TV monitors and sound systems were used to attract attention, traffic and potential customers inside the space, where they could contemplate classic boxing memorabilia and learn more about the featured boxing match. 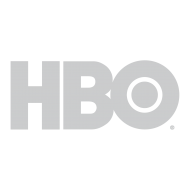 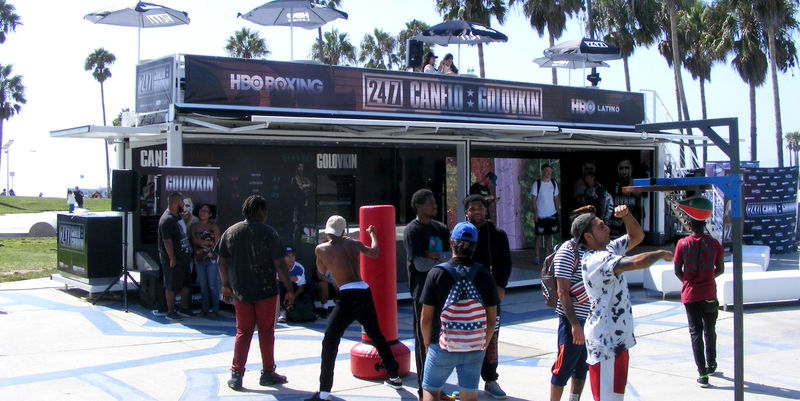 Modified shipping container solutions like the SS40 enable companies like HBO to extend their target market beyond the normal boundaries of their business. 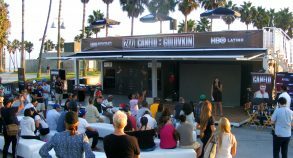 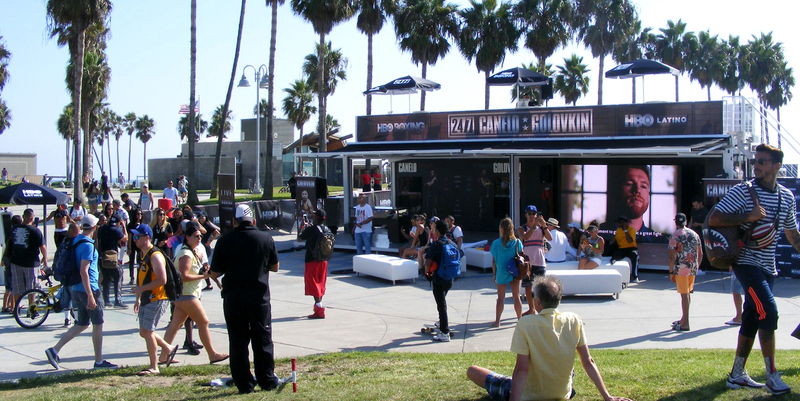 Using a modified shipping container as the centerpiece of their experiential marketing campaign created an impression on potential clients by communicating key marketing messages in an original, surprising and engaging way.